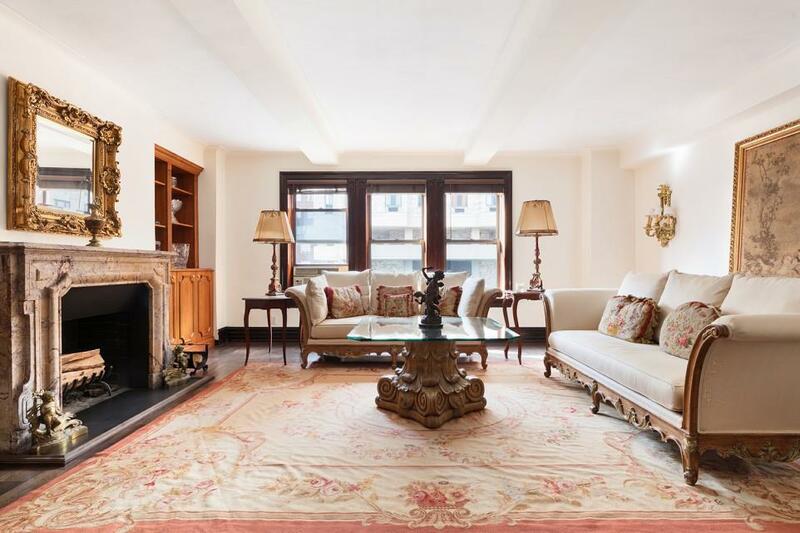 A rare prewar classic six condominium, just off Park Avenue, at 111 East 88th Street on Manhattan's Upper East Side in the Carnegie Hill historic district, has come to market. 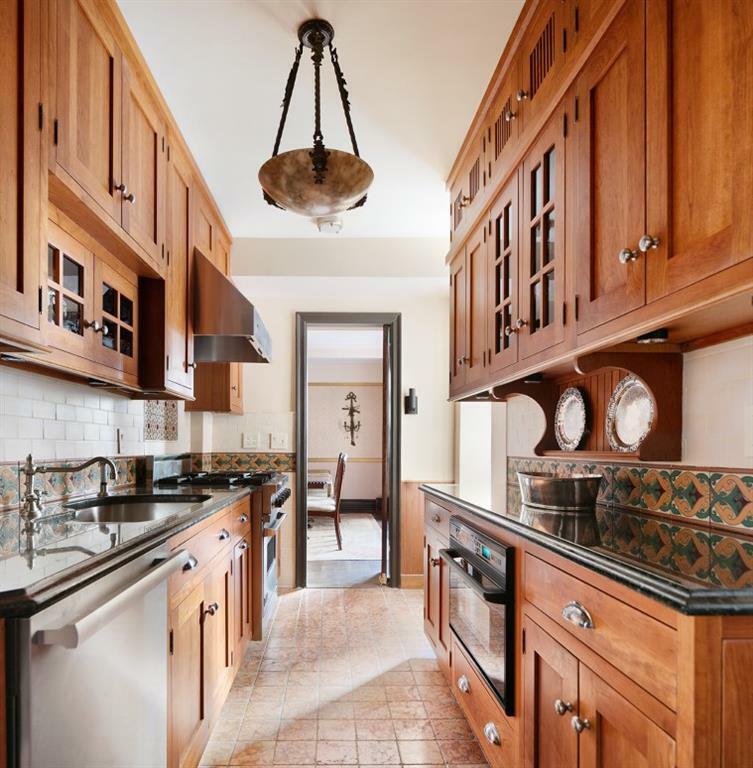 Each room in this charming prewar six boasts oversize dimensions, rich wood floors, substantial wood doors with brass hardware and detail throughout. 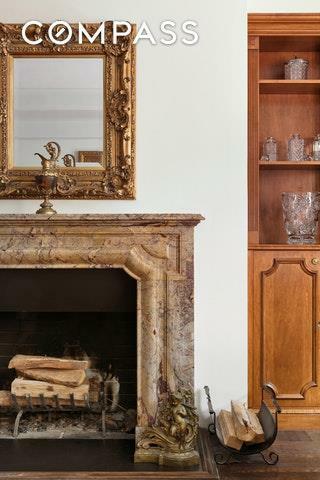 The entry foyer is expansive, and leads through French doors to a large, south facing living room with beamed ceilings, a working fireplace with beautifully carved marble mantel, and built in bookcases on either side. Off the foyer, and opposite the living room, is a fully custom cook's kitchen with Rutt handcrafted wood cabinets, granite counter tops, a black splash of mosaic Provencal tile, a large pantry area, a Viking side by side refrigerator, Viking stove, Miele dishwasher, and GE monogram convection oven and microwave. Through the kitchen is the formal North facing dining room, which is grand enough to seat 14 people. The bedroom wing is at the far end of the foyer and hallway and both bedrooms are south facing. The master is oversize, has beautiful dentil moulding, and three spacious closets. A second bedroom is sizable as well and includes beautiful dark wood builtins and desk. The maid's room, facing the kitchen, has a west facing window, built in shelving and drawers, a beautiful stone floor, and can easily function as a third bedroom. Three bathrooms complete this classic layout. The master has a north facing window, a large shower and an MB Perrin and Rowe English commode and pedestal sink. Charming French mosaic tile coupled with contrasting white tile complete this ensuite bathroom. The second bathroom has a white porcelain tub, tumbled marble tile and floor, and MB Perrin and Rowe fixtures. Lastly, the maid's room has a full bathroom, and includes a shower and English handheld fixtures. 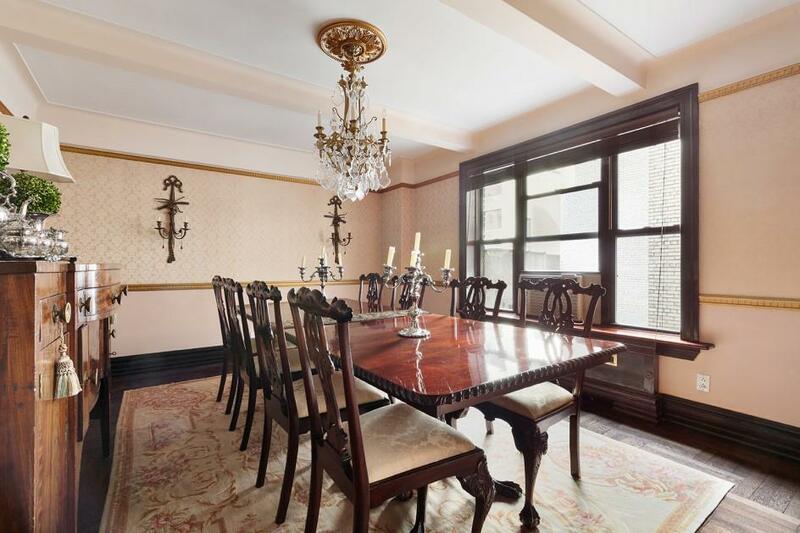 111 East 88th Street is a well managed condominium with a 24 hour doorman situated between Park and Lexington Avenue, with a resident manager that has been with the building for 18 years. The building is beginning the process to complete a renovation of both elevators and the lobby. This Carnegie Hill neighborhood is home to both the Lexington Avenue and Q subways, local buses, a plethora of schools, wonderful restaurants and shopping. Washer and Dryers permitted. Sorry no Pets allowed. Listing courtesy of Carla Slocum-Friedman of Compass.